3. 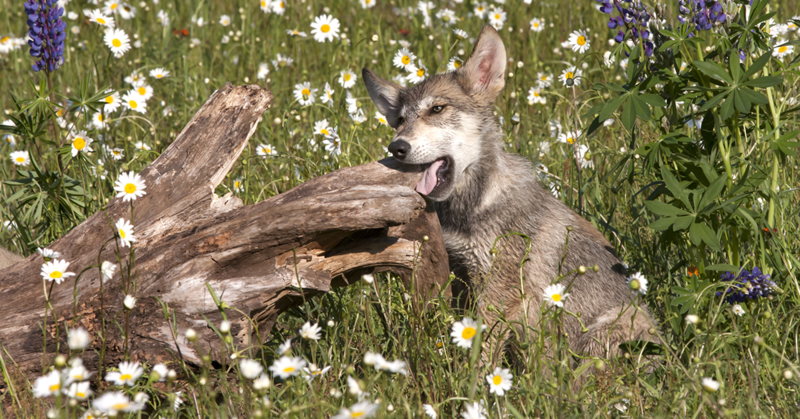 Chewing a log has never been so cute. 5. 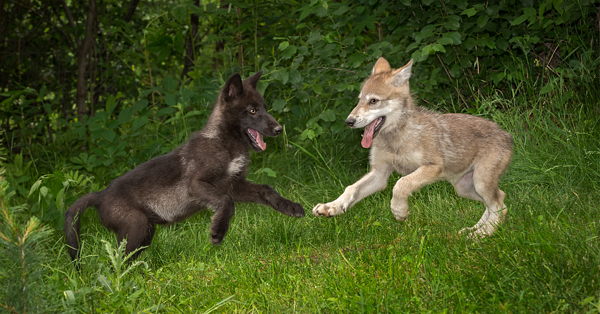 We don't know what's happening here but it's adorable! 6. Looks like these two have been best friends for a while! 7. 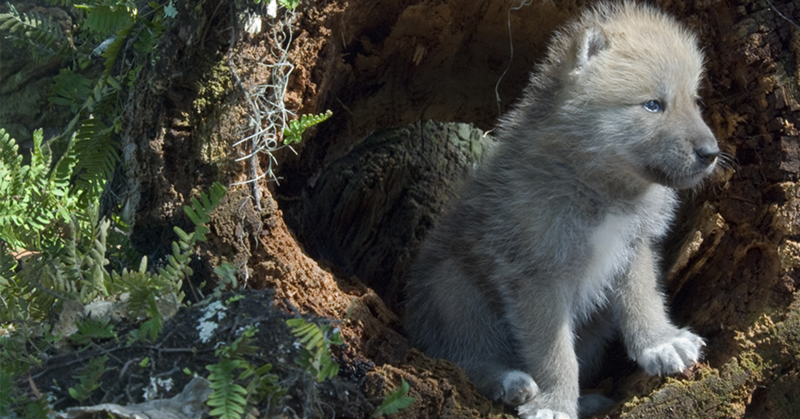 Cute as they may be, gray wolf puppies are fiercely protected by their entire pack. 8. A little solo adventure! 9. 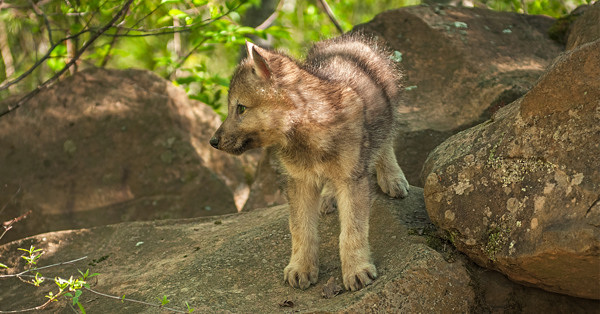 This wolf pup is getting ready for transport. 10. 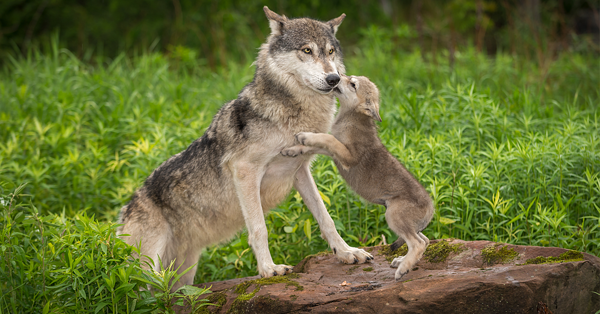 This new mom is looking a litttttle overwhelmed. We get it. 11. 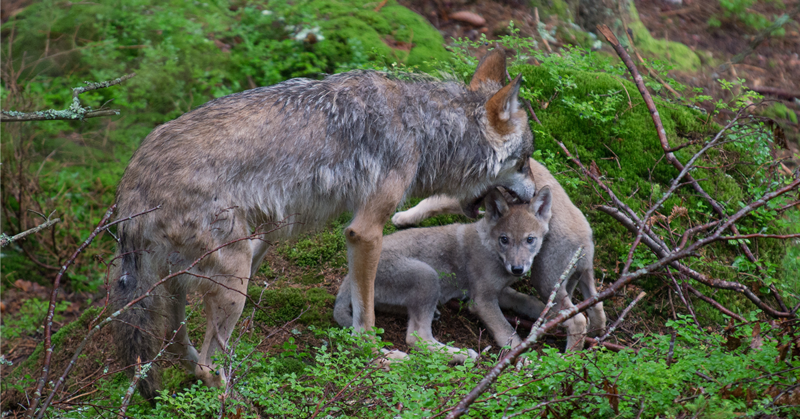 You might assume this is the pups mom or dad, but the truth is pups bond with their entire pack. For all we know, this is a distant uncle. 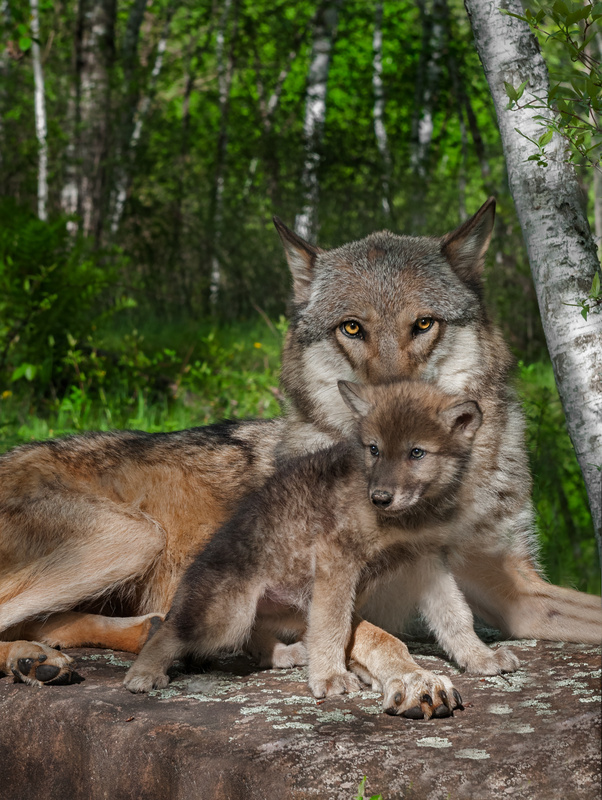 We hope you enjoyed this month's blog. 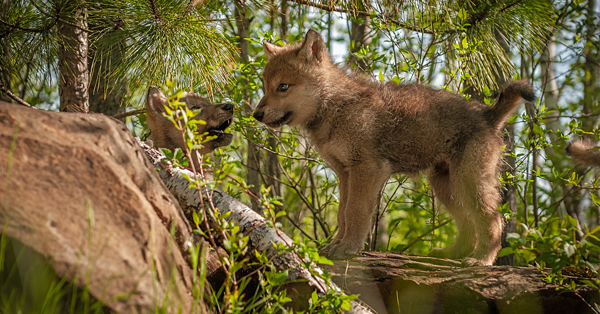 We love gray wolf pups and are in awe of the work and dedication every pack takes to teach and protect each new member. 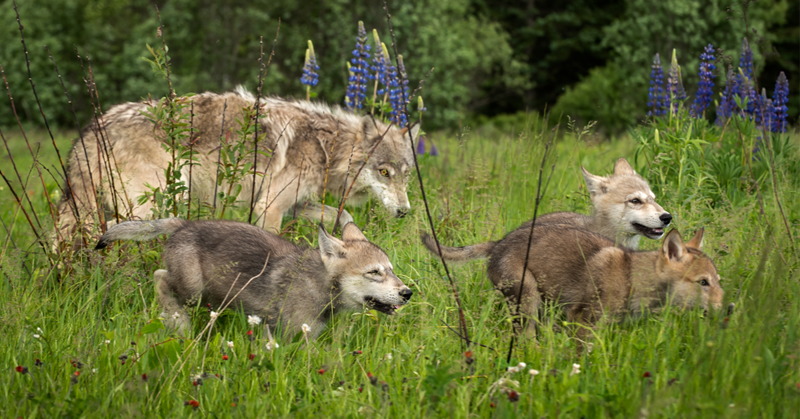 Want to learn more about gray wolf reintroduction? Watch the video by clicking below! 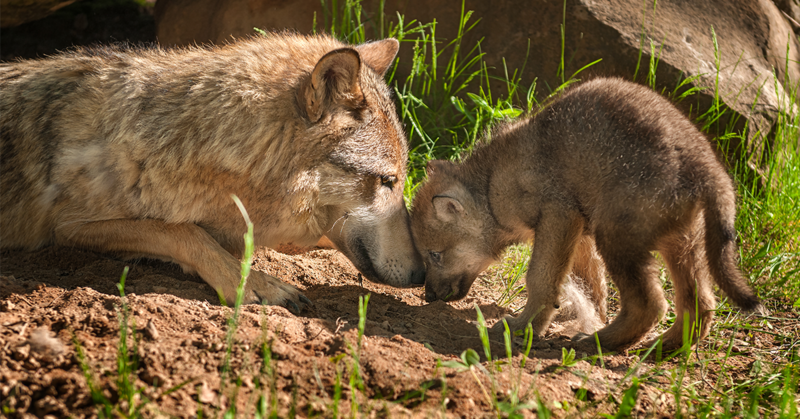 The Rocky Mountain Wolf Project aims to improve public understanding of gray wolf behavior, ecology, and options for re-establishing the species in Colorado. 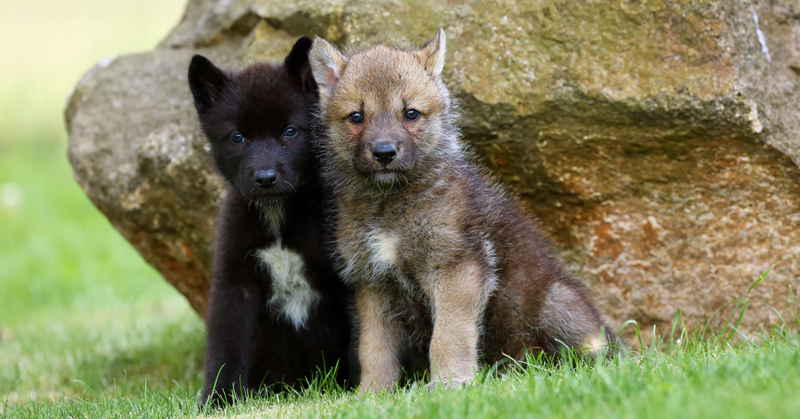 The Rocky Mountain Wolf Project is a fiscally sponsored project of the Tides Center, a 501(c)(3) nonprofit organization and the nation's largest fiscal sponsor.